WLT’s latest project, the tropical rainforest of Sierra Santa Cruz, is a hotspot for rare and endangered amphibians, from toads to caecilians to Red-eyed Treefrogs (right), robber frogs, glass frogs and salamanders. For the launch of WLT’s new appeal to protect the wild treasure chest of Santa Cruz’s rainforest in Caribbean Guatemala, we round up five species that can be found here that you have probably never heard of before. This small (3cm) speckled frog is a remarkable symbol for why the Sierra Santa Cruz rainforest needs to be protected. It is classified by the IUCN Red List as Critically Endangered due to its very small range (it is endemic to Sierra Santa Cruz, hence the species name 'sanctaecrucis') declining in size and quality from expanding agriculture, pollution and other threats. 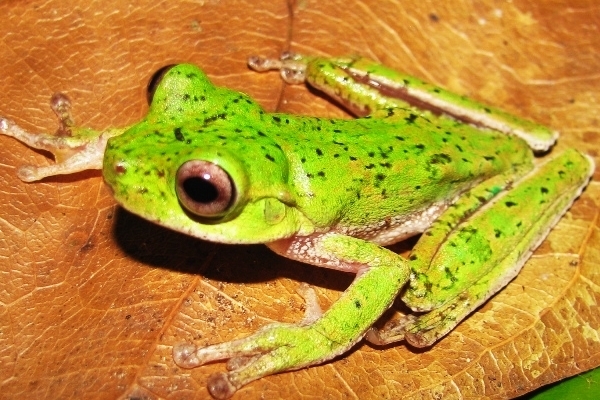 If Sierra Santa Cruz is not protected and the forest is cleared, the small known population of this frog will surely disappear. Another Critically Endangered companion to the Chinamococh Stream Frog, the mating call of advertising males has been described by scientists as a low “sworp” compared to the “aggressive chuckling” that they use to ward off competitor males. 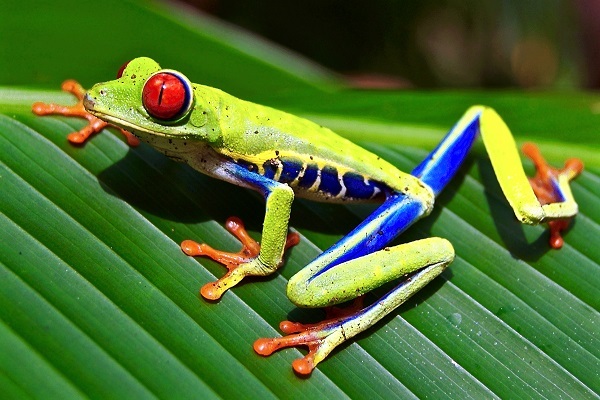 Sadly this species has been severely affected by the infectious disease chytridiomycosis, which has been identified as one of the major causes of global amphibian declines and extinctions across the world. 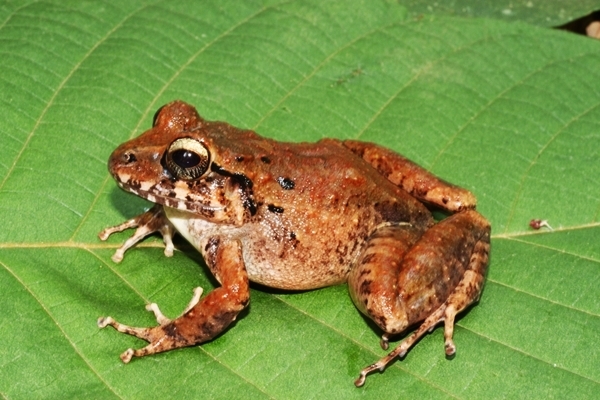 This rainfrog, with its ghost stripes, is part of a large genus of frogs called Craugastor, which translates to brittle-belly from Ancient Greek. It is classified by the IUCN Red List as Endangered, and has declined drastically from its former range in Guatemala, where it is now locally extinct in many of the places where it was previously found. As it cannot survive in habitats degraded by deforestation or pollution, the major threat affecting it is habitat loss and degradation. 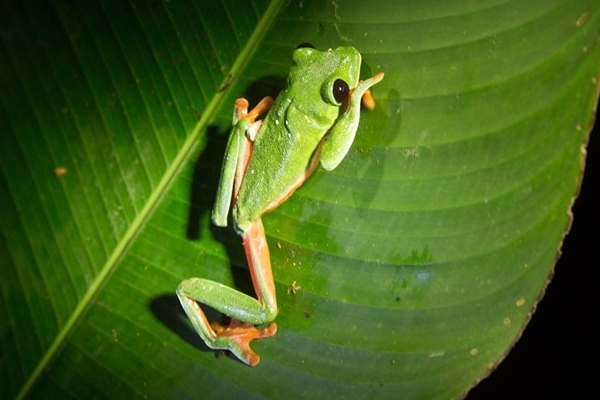 This treefrog’s alternative name, the Loquacious Treefrog, gives an idea for what it is known for. 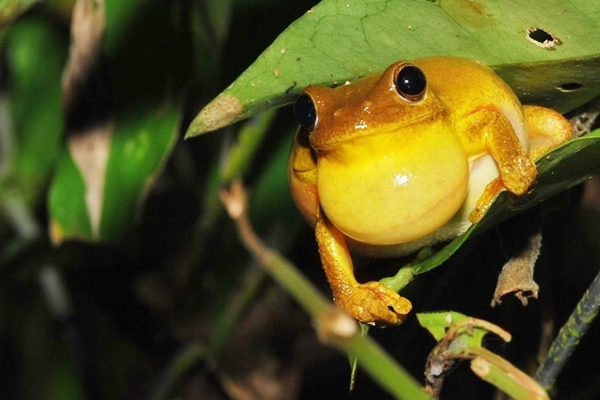 When dusk falls, the male Mahogany Treefrogs begin a loud chorus which has been compared to the honking of geese. 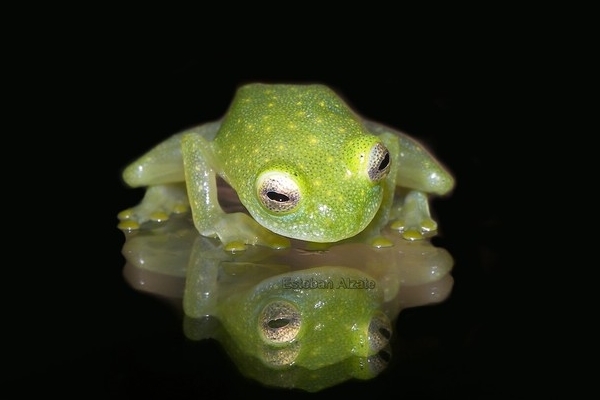 Although glass frogs (family Centrolenidae) are primarily named so for their transparent skin, which means that in some species their internal organs are visible, the name is also appropriate for the supposed fragility of some of these small frogs, including Sierra Santa Cruz’s Northern Glass Frog. It is reported that an adult (around 2-3cm long) can be knocked off a leafy perch by heavy rain, and perhaps even killed by a single direct hit from a raindrop. Frogs are not the only precious and endangered species WLT’s Treasure Chest Appeal is aiming to protect. 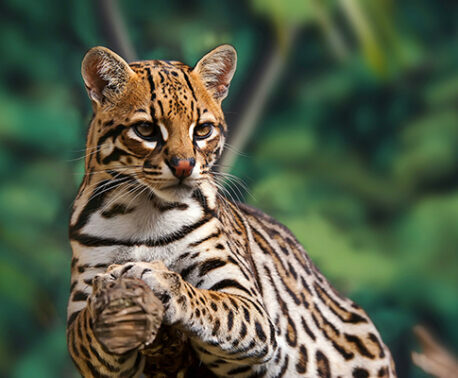 If successful, the 2,500 acre (1,000 hectare) reserve in Sierra Santa Cruz will save valuable tropical rainforest habitat for 142 mammal species, including big cats such as Jaguar and Puma, 251 bird species, reptiles, plants, insects and more. All donations made in Big Match Fortnight, between October 4 – 18, will be doubled by our match sponsors. 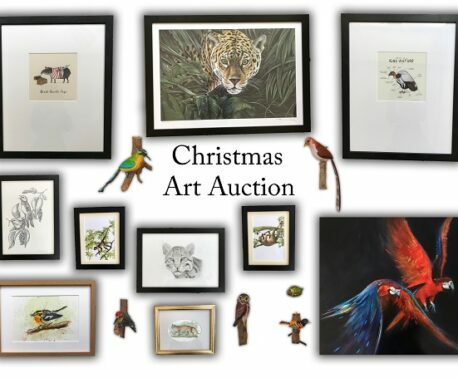 You can also donate by texting TTCA17 with an amount up to £10 to 70070.